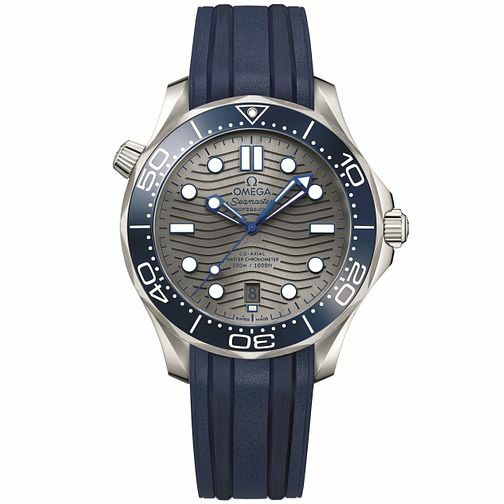 From Omega's Seamaster Diver 300M collection, this men's watch boasts a sturdy stainless steel case. Powered by Quartz movement, its sleek grey dial has a lasered pattern inspired by the ocean, a date feature at the 6-o-clock position, and is protected by domed anti-reflective, scratch-resistant sapphire crystal. This watch is water resistant up to 300 metres.